On the occasion of the Chinese lunar New Year 2019. Brighway Company pay New Year calls to national people and new & old customers at home and abroad. Wish the motherland prosper and prosper. 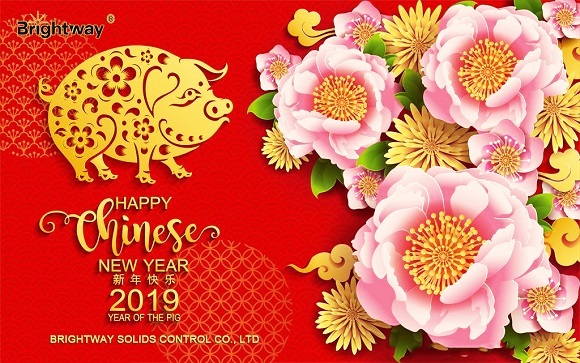 Brightway company bring all the staffs have best wishes and sincere thanks for the new year to the people of the whole country ,and Wish the national prosperity and people’s harmonious health! wish you good luck in the new year of 2019, creating business new height! 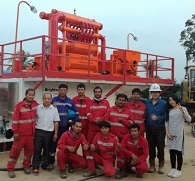 In 2018, Brightway developed an integrated solution for sludge treatment successfully and made new breakthroughs in the field of environmental protection. In 2018, We have reached a strategic cooperation agreement with China Railway Environment Company and have more opportunities to participate in national environmental governance; In 2018, Brightway participated in the Beijing CIPPE, American OTC 2018, Shanghai Bauma Exhibition successfully. Expand domestic and foreign markets and Increased brand influence. In the New Year, Brightway will seize the opportunity to expand the domestic and foreign markets. 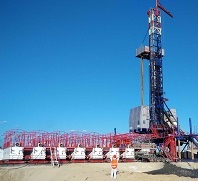 In the field of environmental protection, shield, trenchless, Brightway will continue to develop new mud treatment programs.